Given that there is 100% certainty that smoking is bad for you and most likely will kill you… slowly and painfully, the fact that millions of people still smoke is mind bending to me. Don’t get me wrong, if people want to smoke, eat a .45 caliber bullet or stuff grenades in their bum and pull the pins, that’s fine with me as long as it doesn’t affect someone else. Also if I put myself into a situation where I know there will be many people smoking around me, then that’s on me. 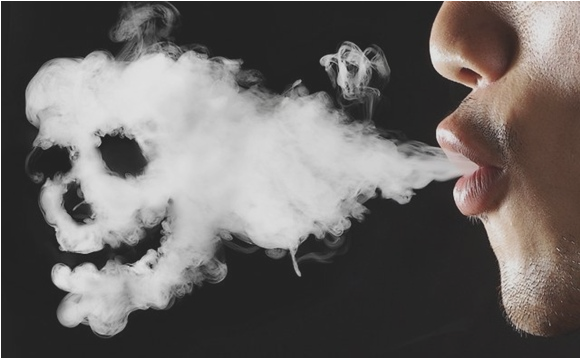 Smokers however affect millions of other people (non-smokers) on a daily basis and subject us to their suicidal habits by stinking up the outside air. Down here in the Sunshine State where we aren’t frozen solid and can actually open the windows to enjoy some fresh air (we don’t get to do that much in the summer) we have neighbors who like to go outside and smoke. This almost always ends up blowing right into the open windows stinking up the whole fracking house. So I propose a couple things that non-smokers who don’t want to be subjected to a smokers deadly habits should be able to do (by law). First, the non-smoker who is subjected to the smoker’s pungent outgassing should be allowed to punch said smoker in the face. My guess is that this would cause alot of smokers to quit after a couple punches. Second, as an option to physical violence against the smoker, the non-smoker will be allowed to offer said smoker a gun and a single bullet so that the smoker can remove him/herself from existence. At least then the smoker is being offered a quick out as opposed to the slower, more pain filled and more costly (to the rest of us) death they are seeking.